SiteUpdate: New Promotion Page for the OpenEducationDisc!!! 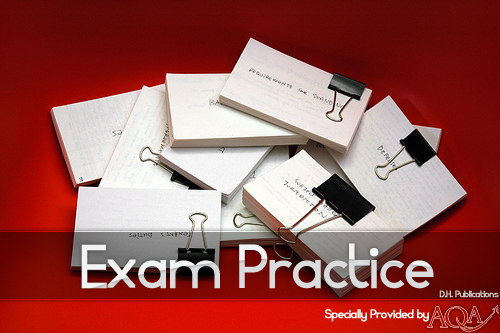 Practice exam papers from AQA will give students the best way to pass their law exams. All exam papers come with Mark schemes so students will know what the examiners are looking for. Also we included Old Spec Past Papers and Examiners Reports so that Students may try extra questions which are similar to their syllabus. It's a big decision for a student having to choose their A-levels. Thats why D.H. Publications with help from AQA & Loxford School website have come up with a little guide which will help potential students find out more and understand more about A level law. Loxford Law News: New Site Opens - Still Under Construction. Special thanks to Jamie Bartlam for theses excellent notes on the jury system. Also recognition to D. H. Publications for the production design. LOXFORD LAW FORUMS NOW ACTIVE! The Loxford Law Forums is now fully active. You can now get homework help, revision tips and meet new people all at Loxford Law Forums.